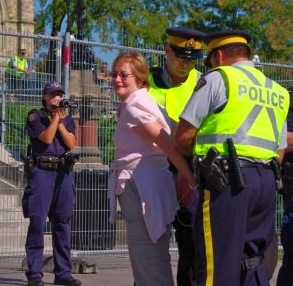 More than 200 Canadians engaged in civil disobedience, with 117 arrested in Canada’s quiet capital city on Monday. The reason? To protest the Stephen Harper right-wing government’s open support for the oil industry and expanding production in the climate-disrupting tar sands. The normally placid and polite Canadians shouted, waved banners and demanded the closure of the multi-billion-dollar tar sands oil extraction projects in northern Alberta to protect the global climate and the health of local people and environment. “People are here because they know that if we don’t turn away from the tar sands and fossil fuels soon it will be too late,” Peter McHugh, a spokesperson for Greenpeace Canada, told IPS. “The tar sands are unsustainable. 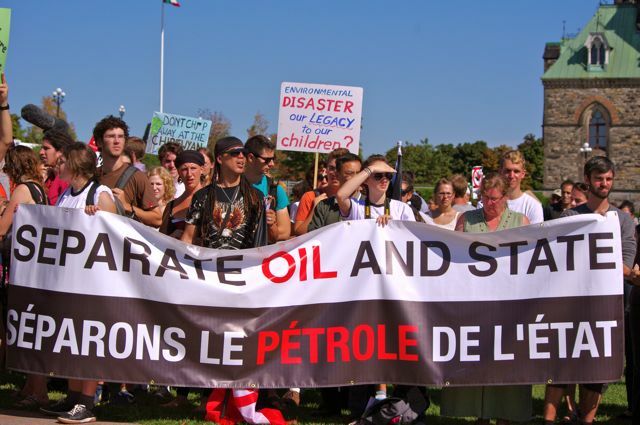 Canadians are willing to shift away from fossil fuels but our government isn’t,” Gabby Ackett a university student and protester, told IPS as she stood in front of a long line of police. In what was proudly touted as “civil” civil disobedience, protesters aged 19 to 84 were arrested for using a step-stool to climb a low barrier separating them from the House of Commons, the seat of Canadian government. The police were friendly and accommodating because the organisers had promised there would be no violence. “We live downstream and see the affects of tar sands pollution on the fish and the birds,” said George Poitras, a former chief of the Mikisew Cree First Nation in northern Alberta. “Some our young people have rare forms of cancer,” Poitras told more than 500 protesters. “Expanding the tar sands is not the way to go in a world struggling with climate change,” he said. Carbon emissions from the tar sands production have increased 300 percent since 1990 and, at 45 to 50 million tonnes annually, are greater than most countries. And that does not include the carbon contained in the oil itself. Students, faculty, staff and other members of the uOttawa community are encouraged to find alternatives to bottled water, such as filling up cups, glasses and re-usable bottles at the nearest fountain or tap on campus. 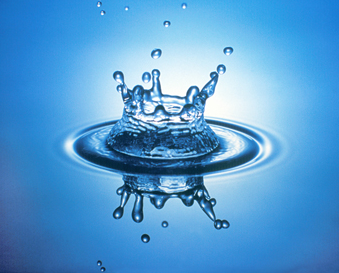 Since 2008, the University of Ottawa has invested over $100,000 to revitalize its water fountains. An additional $75,000 will be invested next year. The improvements include gooseneck fountains for quick and easy filling of re-usable bottles, new fountains near food service outlets, upgrades to existing fountains. The fountains are wheelchair accessible, have increased waster pressure and better refrigeration. via University of Ottawa marks the end bottled water sales on its campus | News Releases & Announcements | University of Ottawa Media Room.